Fifteen-year-old Ko San has been working full-time for four years, arriving every day at the crack of dawn at a ramshackle teashop in western Myanmar. There, he doesn’t stop cleaning and waiting tables until the sun goes down over the nearby Bay of Bengal. Noor Jahan rocked slowly on the floor, trying to steady her weak body. Her chest heaved and her eyes closed with each raspy breath. She could no longer eat or speak, throwing up even spoonfuls of tea. 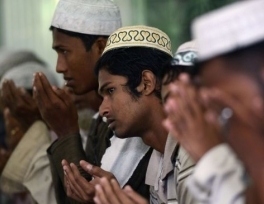 The anti-Muslim rhetoric of Sri Lanka is similar to that of Myanmar, an international panel of experts at a conference on violence in the two countries concluded this week. 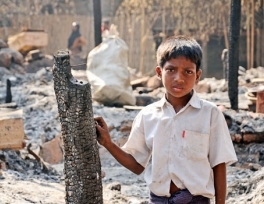 Although no one has died in anti-Muslim violence in Sri Lanka, speakers at the March 6 discussion said that the language of hatred is similar to that in Myanmar where hundreds of Rohingya Muslims are reported to have lost their lives. 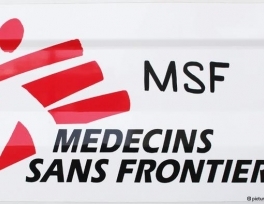 The medical aid group Doctors Without Borders has said that Myanmar's government is allowing it to resume operations everywhere in the country except for the strife-torn state of Rakhine. 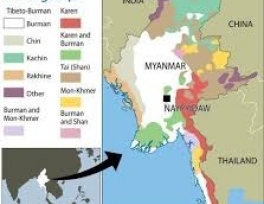 It said in a statement on Saturday that it had been allowed to resume work in the states of Kashin and Shan states, as well as the Yangon region. 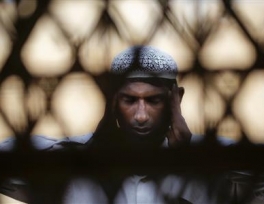 In a country reeling from recent religious violence, a Muslim free hospital is offering a rare oasis of communal harmony, offering medical service to hundreds of Muslims, Buddhists and former political prisoners. 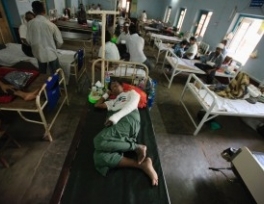 "I am a surgeon so my responsibility is to cure suffering patients," Tin Myo Win, the only Buddhist department head at at Yangon's Muslim Free Hospital, told Agence France Presse (AFP) on Monday, September 16. Their bones are scattered in blackened patches of earth across a hillside overlooking the wrecked Islamic boarding school they once called home. 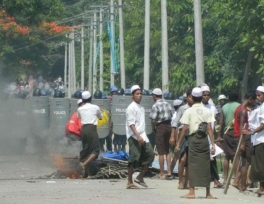 The Buddhist extremist movement in Myanmar, known as 969, portrays itself as a grassroots creed. Its chief proponent, a monk named Wirathu, was once jailed by the former military junta for anti-Muslim violence and once called himself the "Burmese bin Laden." It was just after 3 a.m. when the police kicked in Zia Ul Haq's door, then handcuffed and dragged him to the nearby railway tracks. Then the beatings began. 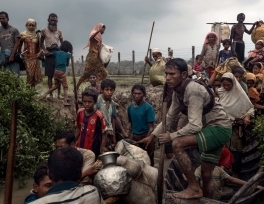 Police with batons struck him and nine other Rohingya Muslims in handcuffs on the head and back, says Zia Ul Haq and three witnesses, some of whom also claim to have been beaten.